As of 2014, Cuba became more accessible to the US traveler and tourists from the rest of the world. The demand for beachfront resorts, hotel properties, golf courses, marinas, condominiums & villas and leisure activities has been rapidly growing. US air carriers Alaska Airlines, American Airlines, Delta Air Lines, Frontier Airlines, JetBlue, Southwest Airlines, Silver Airways, Spirit Airlines and United Airlines will be flying up to 90 round-trip flights daily. The airlines will fly from Atlanta; Charlotte, N.C.; Fort Lauderdale; Houston; Los Angeles; Miami; Newark; New York; Orlando, Fla.; and Tampa, Fla. 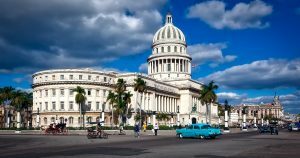 Currently, only foreign hotel companies are meeting the travel demands building hotels in the capital, Havana, as well as in the beach areas of Varadero, Santa Maria del Mar and the Cayo Coco to name a few. Global Valuation, along with its affiliated companies, are routinely receiving inquiries about resort development activity on the island. Developers are working to meet the anticipated demand for travel to Cuba and to provide the leisure activities found in typical first class resorts. Cuba has only one golf course on the entire island. The interest from US based resort developers to build luxury oceanfront resorts with golf courses, and multi-family residential living facilities is very high. Global Valuation is in an optimal position to perform commercial real estate appraisals, market/feasibility studies and insurance replacement cost appraisals in Cuba. For more than 19 years, Global Valuation has been monitoring the Caribbean resort/hospitality market performing commercial real estate appraisals and market/feasibility studies in many of the islands around Cuba. We have built an extensive database of information of Caribbean oceanfront resorts properties, hotels, championship golf courses, marinas and yacht clubs, luxury condominiums and villas and resort shopping centers while appraising and performing market studies. Augmenting our 19 years of Caribbean experience is our experience in the surrounding countries of Central America where we have performed appraisals and market studies on private island resorts, oceanfront hotels, resorts, golf courses & marinas. Global Valuation, Inc. offers all sorts of Commercial Real Estate Appraisals, Market Studies, Insurance Valuations, Replacement Cost Analysis and Business Valuations of hospitality and leisure properties, call us today. Commercial Asset Appraisals of “ANY TYPE ANYWHERE”. Global Valuation, Inc. can complete any type of Commercial Assert Appraisal worldwide. We specialize in large, complex Commercial Real Estate developments, including Office Towers in Metropolitan Cities, Retail Shopping Malls and Power Centers in the suburbs. If you have a need for Commercial Real Estate Appraisals, Market Studies, Feasibility Analysis or Business Valuations on any type of property Worldwide, Global Valuation will be pleased to provide you with a proposal that includes our fees and project delivery schedules. Just click here and submit the brief form and we will respond immediately.